(24 cm), xviii, 842 pp., illustrations. Publisher’s cloth, printed dust jacket. - The author provides comprehensive titles (not short-titles), transcribes imprints, provides collation or pagination statements, and sometimes notes on illustrations, provenance, and bindings, for about 5000 books. ‘She has put everyone interested in the Dutch/Belgian book of the early seventeenth century under a great obligation by doing what must often have been a soporific chore consisting in reading through the General Catalogue and selecting from it whatever was of importance for the catalogue she had undertaken. Afterwards all this material had to be critically evaluated and then described. 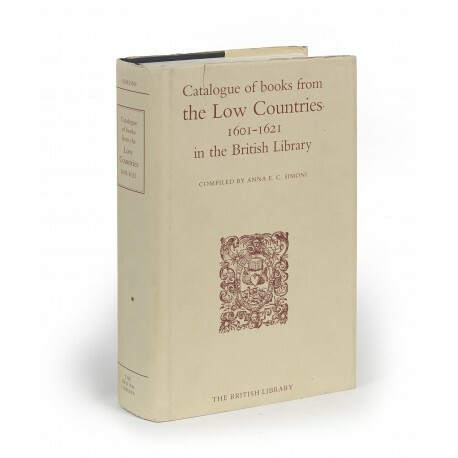 Nobody who has never himself done it can truly imagine how laborious such work is… As was to be expected, the holdings of the British Library within the defined limits are again splendid and contain many books not recorded elsewhere. 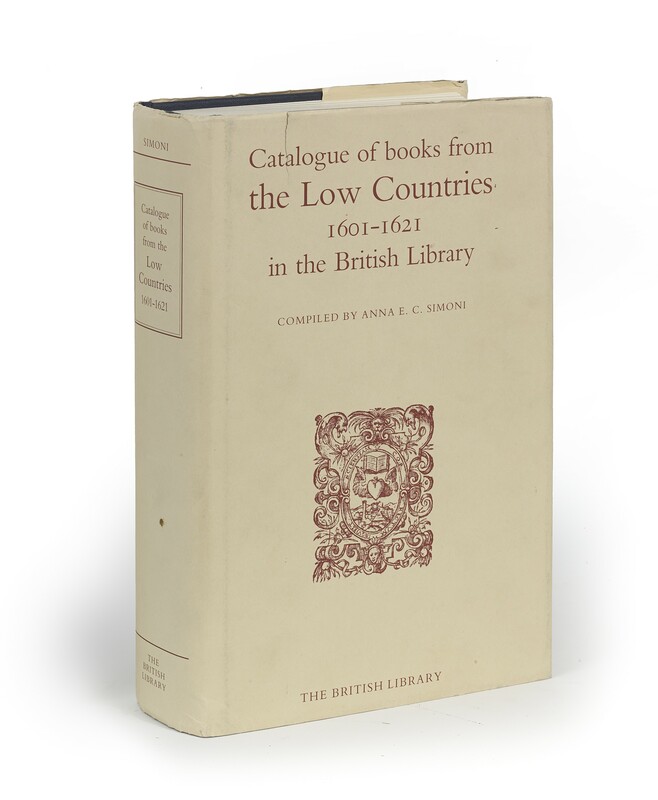 The British Library owns 126 of the 151 Elsevier editions from this period listed by Willems, of the 62 editions of Jan Maire known to me, there are 38… and with the 96 books printed by the Raphelengii a considerable percentage of the total must have been brought together. Such a collection deserves, nay demands, a good catalogue and Anna Simoni has given it to us.’ (from a review by Ronald Breugelmans, in Quaerendo, volume 21, 1991, pp.147-148). Although all the 17th century Dutch imprints held in the British Library are now recorded on the STCN (Short Title Catalogue Netherlands), the indices provided in Simoni’s volume – provenance and subjects, in addition to printing-places and printers – are essential for any thorough interrogation of the Library’s holdings. ¶ Clean tear in dust jacket; otherwise as new.